We pay a serious consideration to the quality of each product manufactured in our company, thus accurate every-step control is implemented in all processes. Quality is assured beginning with the adequate control of components purchased, tests carried out for developing products as well as software, inspection in different production process stages. 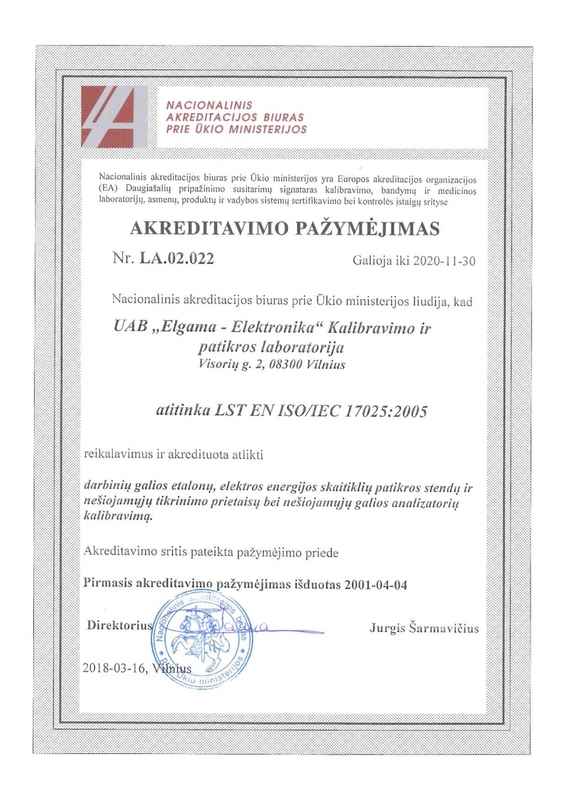 Furthermore, quality control and tests are performed for each product manufactured in Calibration and verification laboratory certified according to the requirements of EN ISO/IEC 17025 standard. The laboratory as well carries out verification of electricity meters in accordance with the approved verification methods. Every product manufactured at our company is CE-marked indicating conformity with the relevant essential requirements in the Directives. 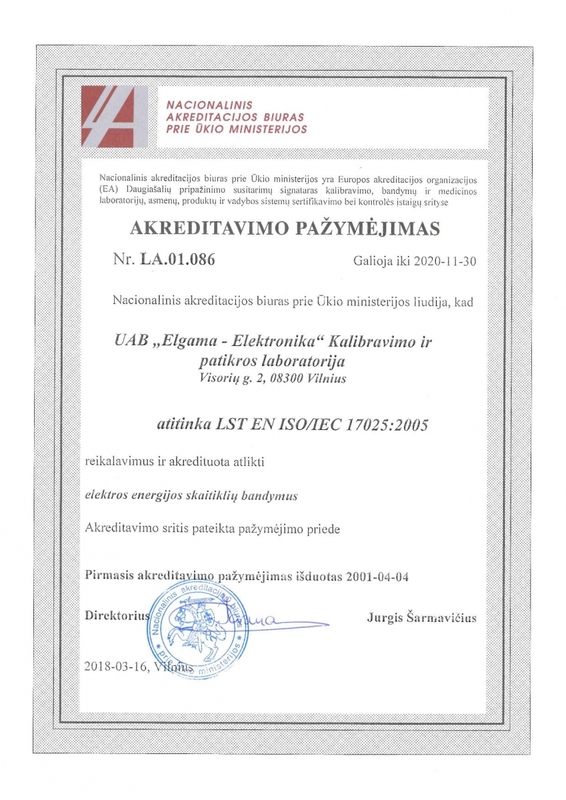 ELEKTRONIKA Ltd. quality management system is certified according to the requirements of the standard LST EN ISO 9001:2015. Aiming at the best result – the highest quality level – all processes are being constantly analyzed, assesses and improved. One of the most significant parameter of ELGAMA-ELEKTRONIKA Ltd. activity assessment is analysis of influence level on environment. Therefore, the company’s politics is directed towards decrease of the said influence with considerable responsibility, it follows legal requirements, improves processes and implements new technologies in regard of environmental protection aspects. 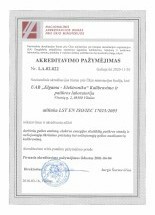 ELGAMA-ELEKTRONIKA Ltd. environment management system is certified according to the requirements of the standard LST EN ISO 14001:2015 that ensures proper planning, organization, performance and control processes in all company departments. One of the main values of the company is employees. 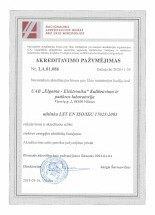 ELGAMA-ELEKTRONIKA Ltd. cares for work environment safety and influence on employee health and safety and thus, with high responsibility meets the requirements of BS OHSAS 18001:2007 standard as well as state regulations related to the mentioned area. To be concrete, assessment of professional risk is being carried out, risk factors are defined and prevention measures for risk decrease are implemented in our company. Moreover, employee safety and health committee is established in the company that represents the interests of top management and employees in the sphere of safety and health. In order to ensure information security performing our activity - design, manufacture, sales and support of devices - management systems according to the standard LST EN ISO 27001:2013 is implemented. Correspondingly we assure all incoming, outgoing, developed, managed and used oral, written and electronic information security. A long-term company experience and reliance of partners from different countries leads us to constant endeavor of activity development and improvement including up-to-date technologies in the smart metering sphere. We work to meet customer expectations and demands presenting high-quality products which comply with the requirements of international standards and Directives.